Acucraft Fireplace Systems is dedicated to a new definition of customization and luxury in fireplaces. Innovative in approach, we embrace the discovery of what you want in a unique fireplace. Acucraft custom fireplaces are designed in great detail and deliver extravagant and innovative design features. Our CAD drawing experts can capture your distinct style. 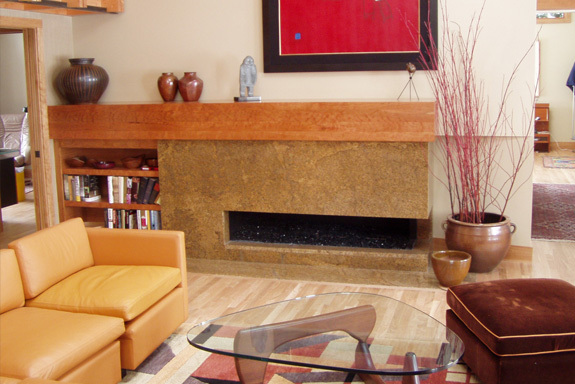 We offer an exceptional journey as we create your one-of-a-kind custom fireplace. Looking for something unique and extraordinary for your gas fireplace? Acucraft works with you to create a truly one-of-a-kind custom gas fireplace that suits your style and design preferences! Whether you are looking for a contemporary linear, custom see-through, peninsula, four-sided or single-sided Acucraft can help you create your dream gas fireplace! Acucraft has an expansive take on luxury and customization with wood fireplaces. All Acucraft custom wood fireplaces are built and designed for each owner specifically. You can expect only the highest standards in quality and customer service, ensuring you the perfect fireplace that will create so many unforgettable memories. The customization process starts with your first interaction with an Acucraft Fireplace Selection Specialist. Each Fireplace Selection Specialist is trained to listen to your needs and ask the appropriate questions in order to help you determine the fireplace and flue that is ideal for you, your family, and your home. Our Fireplace Selection Specialists will then provide you with a free, no obligation quote that outlines the fireplace, accessories, customizations, and flue material. Thank you for selecting Acucraft Custom Fireplaces; we pride ourselves on providing the highest quality fireplaces with excellent customer and technical support. Have Questions About Our Custom Design Process? Contact Us!